Looking for a Dog? Cat? Rabbit? 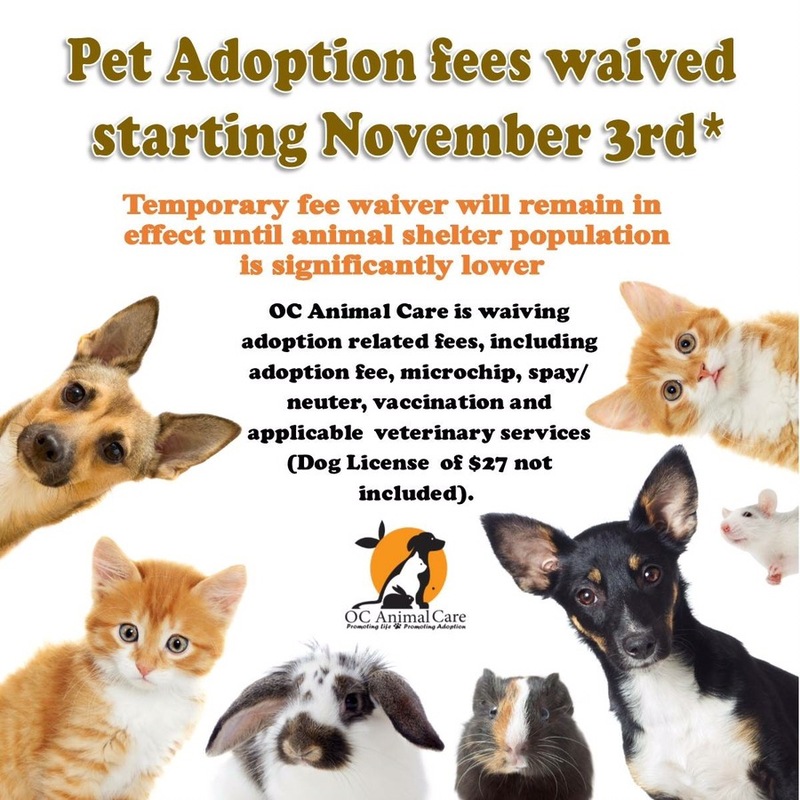 Due to overcrowding, the animal shelter at OC Animal Care is literally giving away pets to good homes. This includes the adoption fee, microchipping, spay or neutering and vaccination. There is one catch though, if you’re going to adopt a dog, it’ll cost you $27 for the license. That’s mandatory no matter where you go.